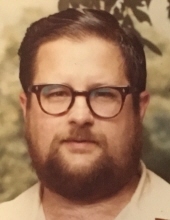 Celebrating the life of William Henry Thornley Jr.
Obituary for William Henry Thornley Jr.
William Henry Thornley Jr. passed away peacefully February 10, 2019, at Sunny View Care Center in Ankeny, Iowa. Will was born January 3, 1943, in Des Moines, Iowa. He graduated from Des Moines Tech and worked for Townsend Industries as a tool and die maker. William was preceded in death by his parents, William Sr and Mrytle (Arnold) and sister, Cris Thornley. William is survived by his daughters: Sue (Jeff) Chapman, and Wendy Thornley; son, Stacy (Heather) Thornley; sister, Jeri (Monty) Fleenor; brother Ben (Eden) Thornley; and many grandchildren, nieces, and nephews. William will be laid to rest next to his parents at Sunset Memorial Gardens in Des Moines, Iowa. To send flowers or a remembrance gift to the family of William Henry Thornley Jr., please visit our Tribute Store. "Email Address" would like to share the life celebration of William Henry Thornley Jr.. Click on the "link" to go to share a favorite memory or leave a condolence message for the family.